The California Golden Bears and the Texas Longhorns will be at Qualcomm Stadium on Wednesday, Dec.28, to square-off in the Bridgepoint Education Holiday Bowl in San Diego. This Pac-12 /Big 12 clash is slated to get underway at 8 p.m. (EST) and the game will be broadcast nationally on ESPN. California earned its ticket to this bowl with an overall record of 7-5 both straight-up and against the spread that included victories in three of its last four games of the regular season. The Bears only loss during this stretch was a hard-fought 31-28 setback to then-No.9 Stanford as 17-point road underdogs. The Bears come into this matchup with a balanced offense that averaged 251.5 yards a game passing and 167.2 yards on the ground. Zach Maynard threw for 2,802 yards this season, but he completed only 57 percent of his passes for an average of 7.53 yards per catch. Isi Sofele did the bulk of the damage running the ball with 1,270 yards on 232 carries. He averaged 5.5 yards a run and led the team with nine touchdowns. Texas came into this season with much higher aspirations than a pre-New Year’s Day bowl game, but a 1-3 record down the stretch dropped it to 7-5 SU on the year (6-6 ATS) and to sixth-place in the Big 12 with a 4-5 SU record in conference play. The Longhorns’ offense relied heavily on a running game that finished the season ranked 19th in the nation with an average of 210.4 yards a game. They had four players with more than 300 yards rushing, led by Malcolm Brown’s 707 yards. He missed the last game of the season with turf toe, but is listed as probable for this game. Running back Joe Bergeron is also listed as probable with a tweaked hamstring. Both team’s defenses have developed a bend-but-do-not-break mentality this season with the Golden Bears giving-up an average of 24.4 points a game and the Longhorns giving-up 23.3, so both offenses should be able to puts some points on the board. Texas opened as a 3.5-point favorite for this game, according to college football odds, but the line has slid a bit in Cal’s’ favor and currently has the Longhorns as three-point favorites for this contest. The total line opened at 48 points and has dropped a half-point to 47.5. The Golden Bears are 3-8 ATS in their last 11 games played in December, but 4-1 ATS in their last five games against the Big 12. The total has gone ‘over’ in six of their last seven bowl games and in five of their last six games played at a neutral site. 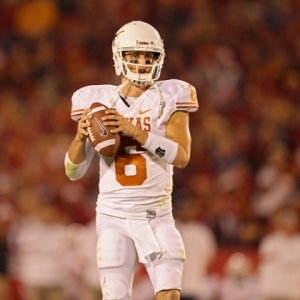 The Longhorns are 4-9 ATS in their last 13 nonconference games and 3-8 ATS in their last 11 bowl games. The total has stayed ‘under’ in their last four neutral-site games, but has gone ‘over’ in seven of their last 10 bowl games. There are no past head-to-head trends between these two teams, but some individual ones suggest that the ‘over’ could actually be the best play in this matchup. As far as playing a side, stick with Texas to win and cover the three points as it is still the better all-around team and far more battle-tested than the Golden Bears. Vegas Sports Informer is one of the best college football handicappers of bowl games in the nation. He will have college football picks in all 35 of the bowl games this season, including his Bowl Game of the Year, an 8-unit pick (the strongest offered at Doc’s Sports). He is looking for his third winning bowl season in the last four years! Click Here for more info.